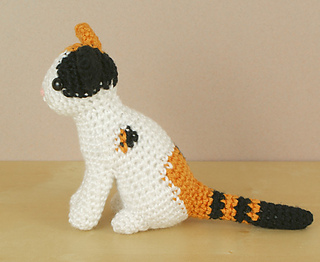 This pattern is available from planetjune.com for $6.50. 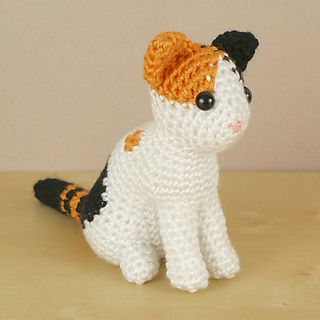 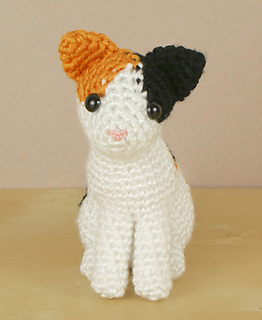 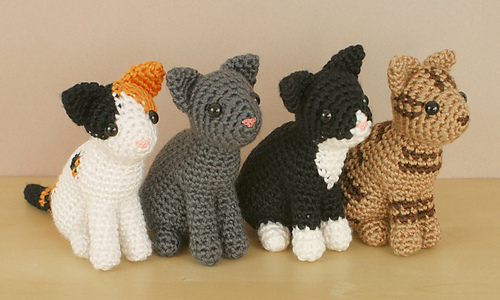 An original crochet amigurumi Calico Cat pattern from the AmiCats range by June Gilbank. 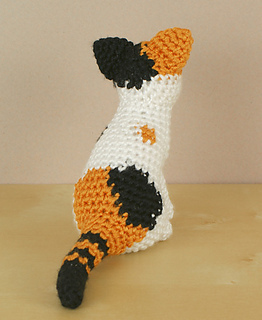 This is a modular pattern: save paper and ink by printing only the appendices you need (crocheted nose; right-handed or left-handed assembly guide, or neither). 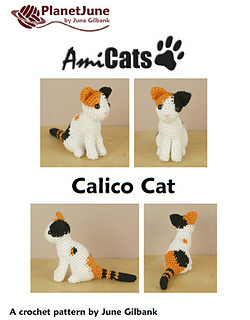 Note: Take advantage of the savings when you buy this pattern as part of the complete AmiCats Collection!